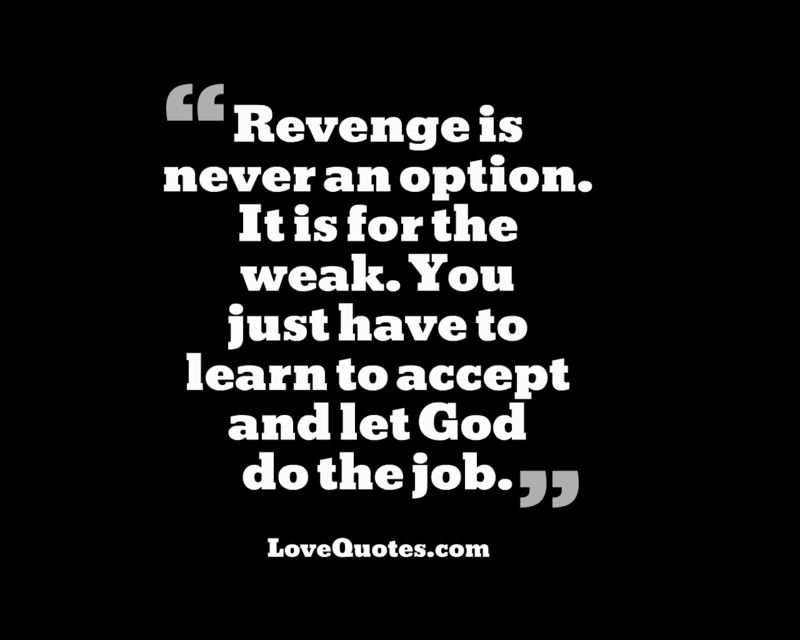 Revenge is never an option. It is for the weak. You just have to learn to accept and let God do the job.